Despite not being as widely known as some of his New York School contemporaries, Clyfford Still was the initial painter to break through to a different and radically abstract style devoid of any obvious subject matter. This American author relied on great fields of color to evoke dramatic symbolic conflicts between man and nature, a confrontation designed to take place on a monumental scale of Still’s large canvases. A true believer in the moral value of art works and their place in the disorienting modern world full of changes, Still influenced the second generation of Color Fields painters. Highly complex in its conceptual core, Clyfford’s art was arguably best defined by the author himself: These are not paintings in the usual sense, they are life and death merging in a fearful union… they kindle a fire; through them, I breathe again, hold a golden cord, find my own revelation. Clyfford Still was born in the year of 1904 in Grandin, North Dakota. After spending his childhood in Spokane, Washington, and Bow Island in southern Alberta, Canada, young painter visited New York in 1925 and briefly studied at the Art Students League. He then attended Spokane University from 1926 to 1927, graduating in 1933 after returning with a fellowship two years earlier. He married Lillian August Battan in 1930 and they had two daughters born in 1939 and 1942. The couple separated in the late 1940s before finally divorcing in 1954. In 1937, Still co-founded the Nespelem Art Colony with a colleague Worth Griffin – this organization resulted in hundreds of portraits and landscapes depicting Colville Indian Reservation Native American life over the course of four summers. Already quite educated and experienced, Still obtained his Master of Fine Arts degree in 1935 at the Washington State College (now known as the Washington State University) where he remained as a teacher until 1941. That same year, Clyfford relocated to the San Francisco Bay area where he worked in various war industries while simultaneously pursuing a career in painting. Still had his first solo exhibition at the San Francisco Museum of Art in 1943 – here he met Mark Rothko for the first time, a fellow painter that will play a big role in Clyfford’s future career. After the World War II was brought to an end, the author went to New York City in pursuit of better opportunities. Mark Rothko introduced Still to Peggy Guggenheim in 1946 and she was so impressed with the young man that she gave him a solo exhibition at her The Art of This Century Gallery that same year. After Guggenheim closed her gallery, Clyfford Still, along with Rothko and other Abstract Expressionists, joined the Betty Parsons gallery. Clyfford lived in New York City for the bigger part of the 1950s that marked the height of Abstract Expressionism, but also a time when he became increasingly critical of the art world. He soon started severing ties with commercial galleries he saw as plagues upon the world of art. However, his non-figurative paintings were still considered to be an elite example of contemporary art – they were non-objective and mainly concerned themselves with opposing different colors and surfaces in a variety of formations. 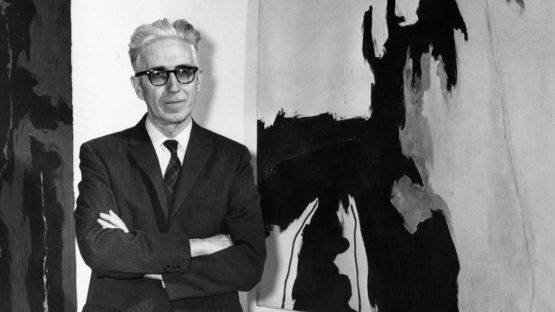 In 1961, Clyfford Still moved to a 22-acre farm near Westminster, Maryland, completely removing himself from the art world he started to despise. He used a barn on the property as a studio but painted infrequently. After five years of living at that farm, the artist and his second wife Patricia purchased a house at 312 Church Street in New Windsor, Maryland, where he lived until his death. Still received the Award of Merit for Painting in 1972 from the American Academy of Arts and Letters, of which he became a member in 1978, and the Skowhegan Medal for Painting in 1975. Clyfford Still passed away in the year of 1980. A year prior to his death, New York’s Metropolitan Museum of Art organized the largest survey of Still’s art to date and the largest presentation afforded by this institution to the work of a living author. Ultimately, this painter developed a new, powerful approach to painting that established him as the leading figure in the first generation of Abstract Expressionists. 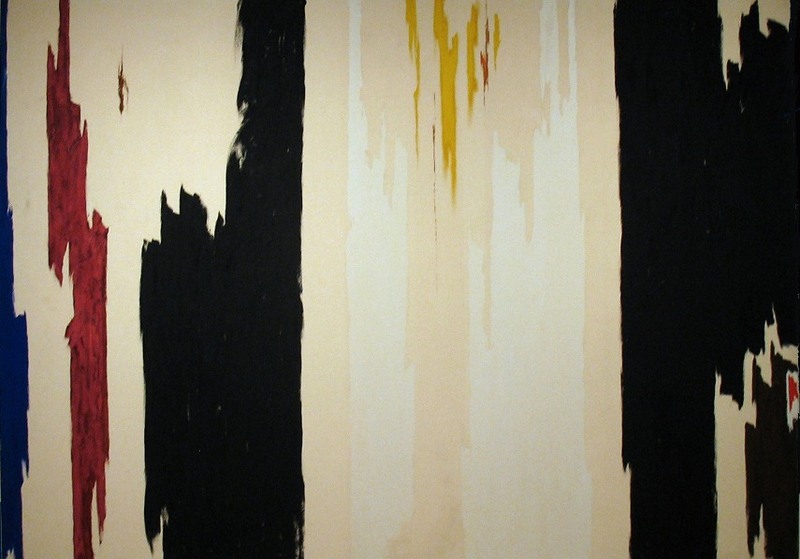 Clyfford Still fused the two predominant painting styles of the radical postwar movement, combining the gestural method with the famed color fields technique. 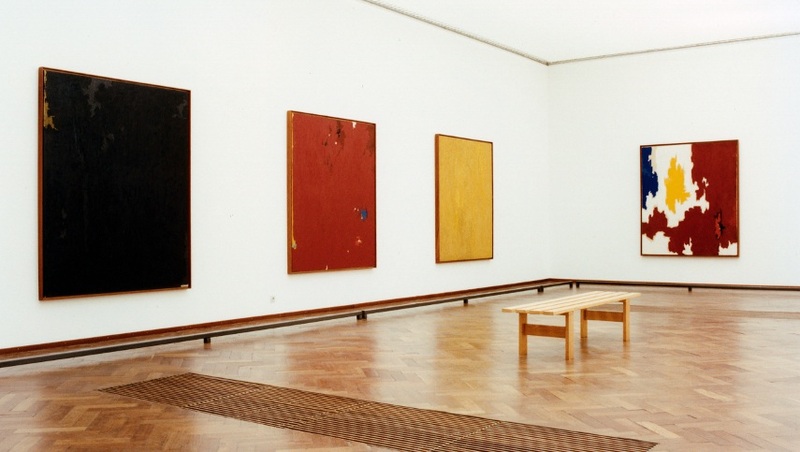 He also laid the conceptual groundwork for the next few decades of abstract painting, effectively introducing his name within the ranks of Barnett Newman, Willem de Kooning, Jackson Pollock and Mark Rothko. Although oftentimes overlooked due to the celebrity statuses of his peers, Still is an absolute must for any valid analyzation of the abstract expression coming from the realm of American modern art. 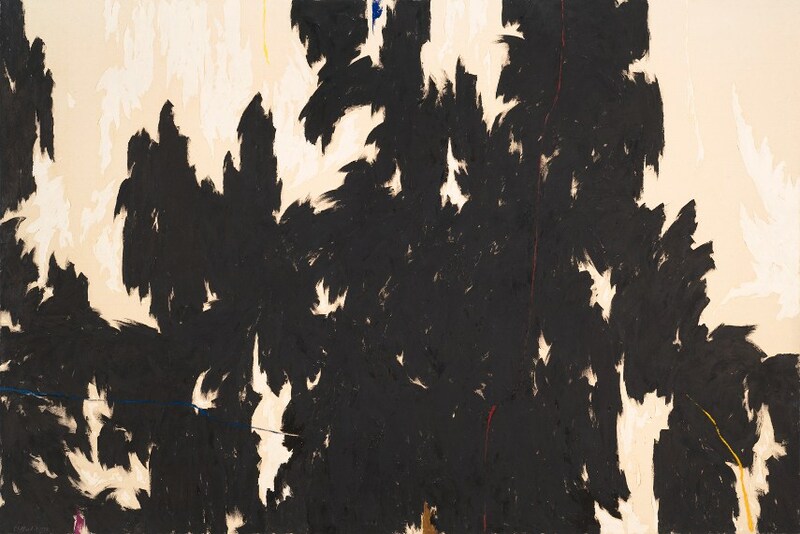 That, taken under the account alongside the fact he famously cut ties with the commercial art world and the sheer visual experience of his work, makes Clyfford one of the greatest New York School painters to have ever lived.